Good news for all the creative types: Coloring is an excellent way to de-stress. 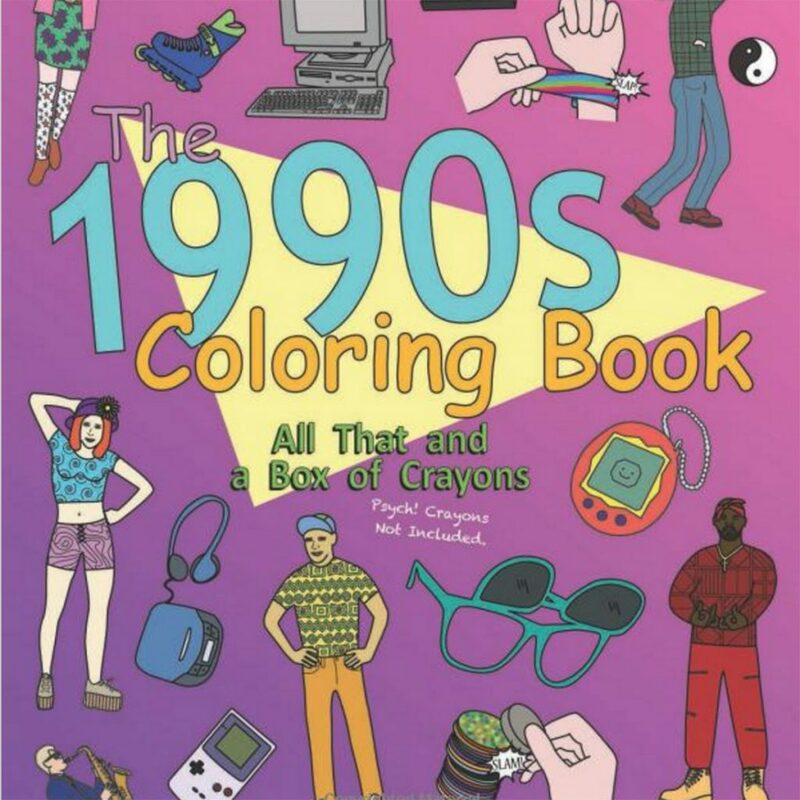 Gone are the days when coloring books belonged solely to kids and only showcased cartoon characters and silly days at the beach. Now, there’s an entire market housing an array of adult coloring books that are funny, raunchy, magical, and everything in between. 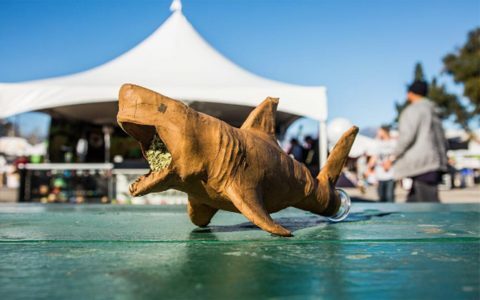 So pack a bowl of your favorite strain and sharpen your colored pencils. 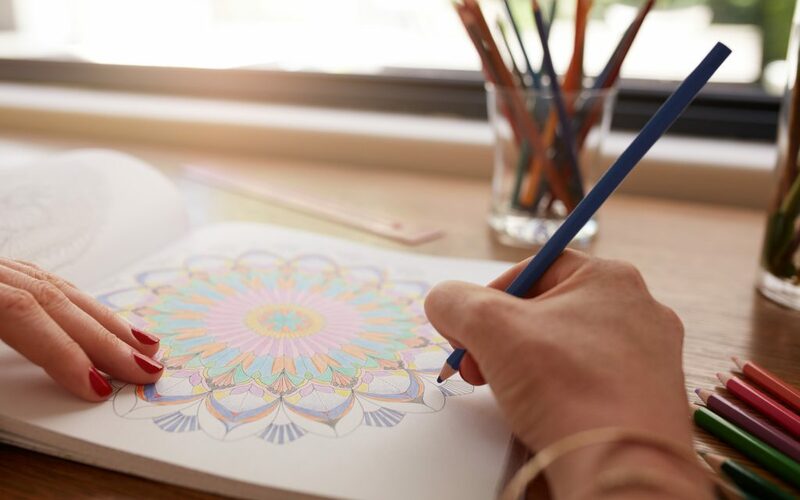 Below, we scoured the internet to bring you some of the best adult coloring books around—especially ones that are best to color while high. Have a colorful creation of your own? Show us your best high coloring masterpieces in the comments below! 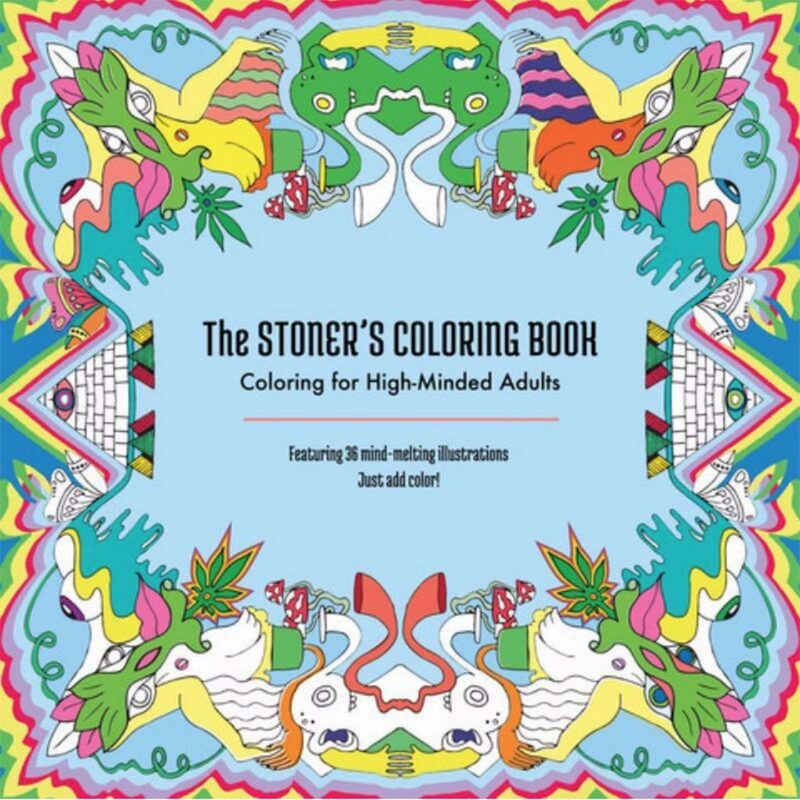 This list wouldn’t be complete without the quintessential coloring book dedicated to cannabis lovers. 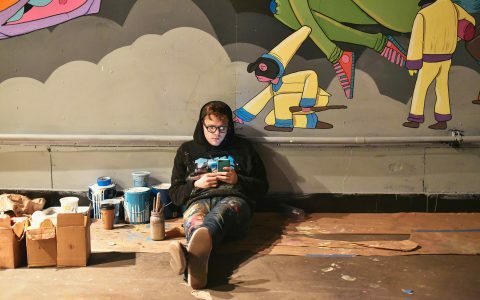 The Stoner’s Coloring Book is made up of psychedelic art created by nine talented artists! If you’ve been having a particularly stressful day and would like to take out some of your frustrations in a non-verbal way, consider the Sweary Coloring Book. Not only will you feel better without having to scream into a pillow, each swear word comes adorned with butterflies, flowers, and animals to further soothe your soul. 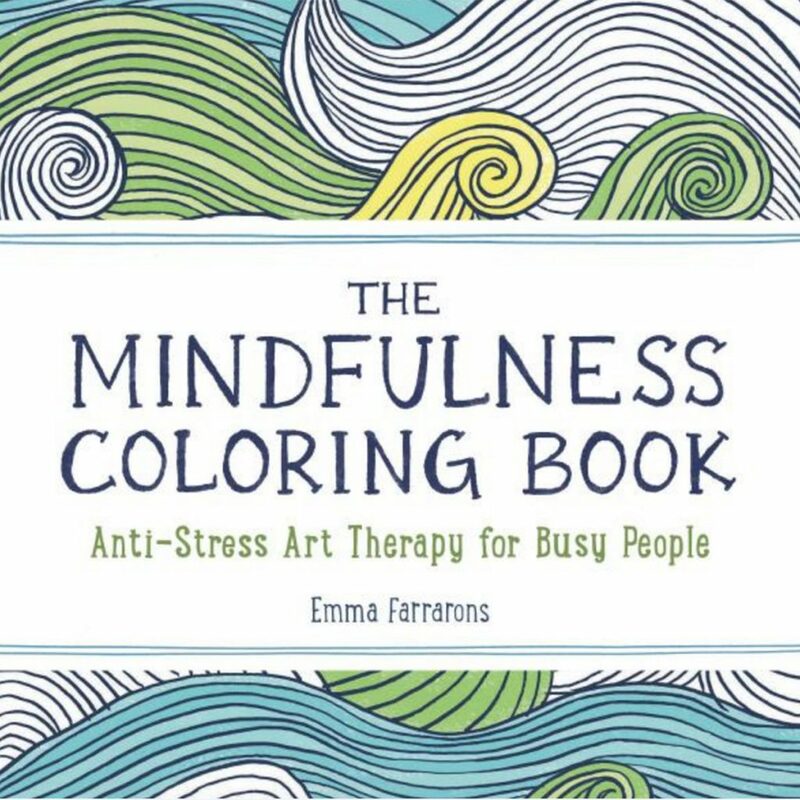 On the other end of the coloring book spectrum is the Mindfulness Coloring Book. 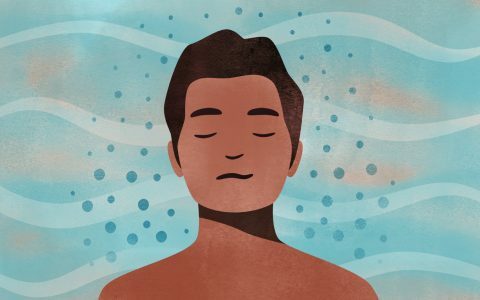 No swear words here—this pocket-sized mindfulness aid easily goes wherever you do. Feeling a bit stressed or weary? 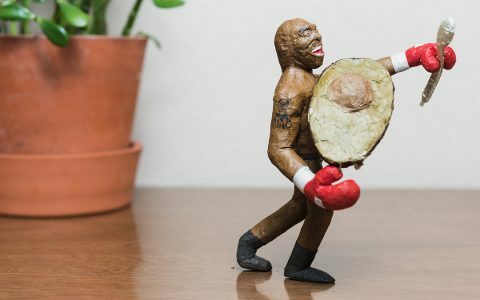 Wherever you are, you’re all set. This incredible coloring book isn’t for the faint of heart. 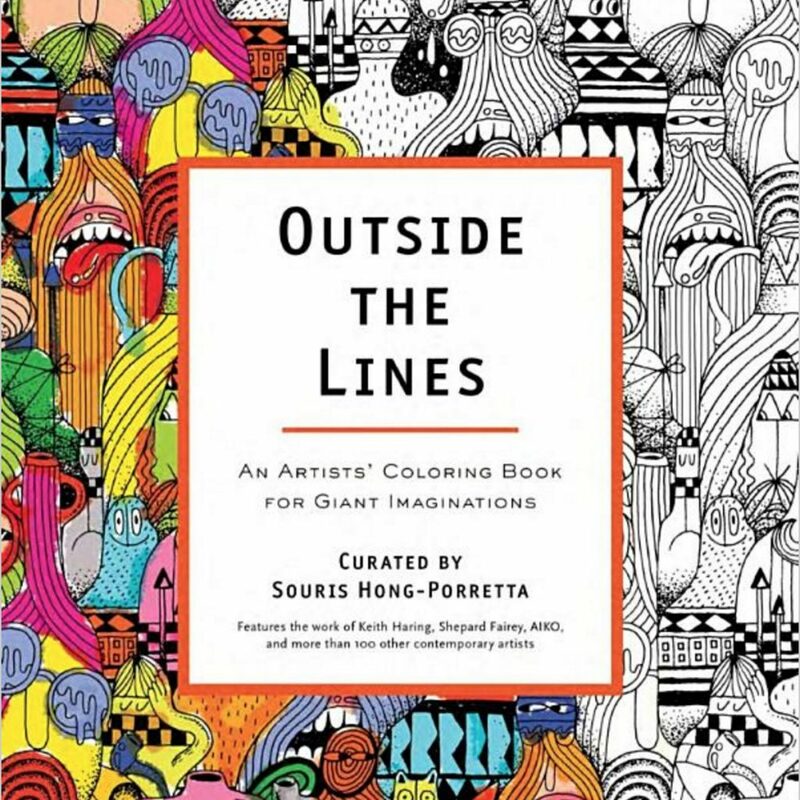 Each page of Outside the Lines is an explosion of creativity that is perfectly suited for full minds and artistic hands. Packed with illustrations from 100 illustrators, this doorway to a magical wonderland is a great choice for a chill night in. Designed by Theo Nicole Lorenz, this hilarious look into the lives of unicorns will keep you laughing for hours. 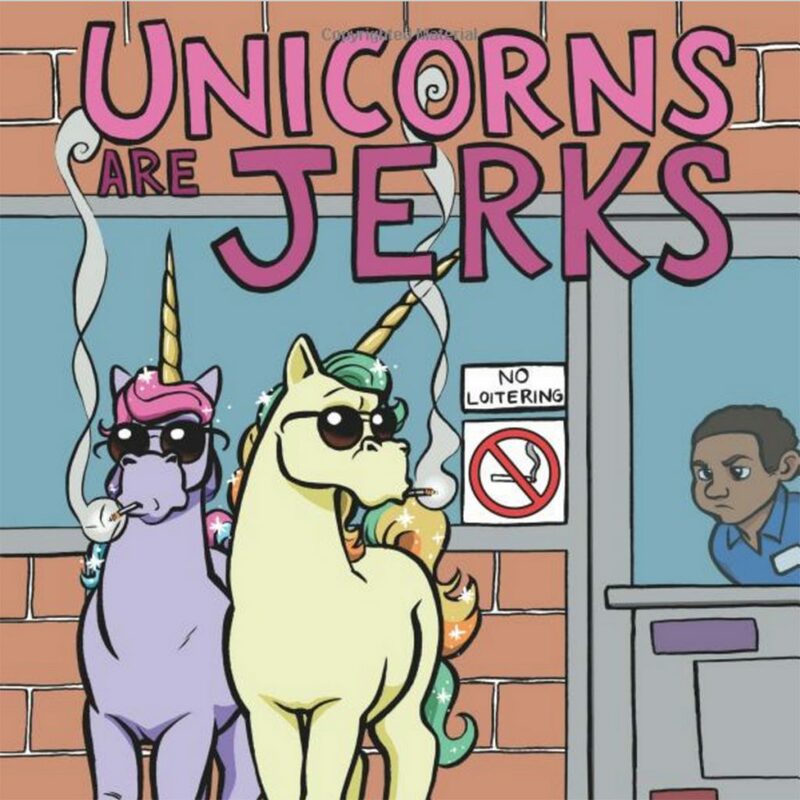 Unicorns Are Jerks is the perfect rebuttal to the unicorn craze that’s swept the nation, so instead of the magical beings emitting a line of sparkles wherever they go, you get to color them in just as they are: terrible jerks. For another laugh-out-loud coloring book, check out Dinosaurs With Jobs by the same artist! 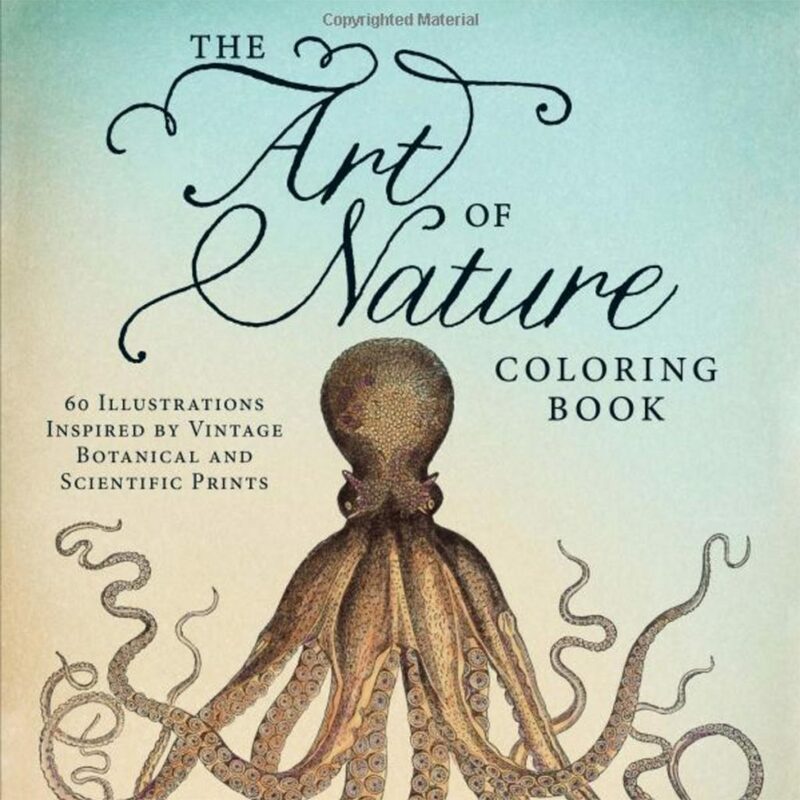 Unlike the fantastical illustrations usually seen in coloring books, The Art of Nature Coloring Book boasts realistic yet whimsical images mirroring the art of classic botanists and scientists. Spark up a pre-roll and nab this book full of vintage prints for an endearingly elevated experience. 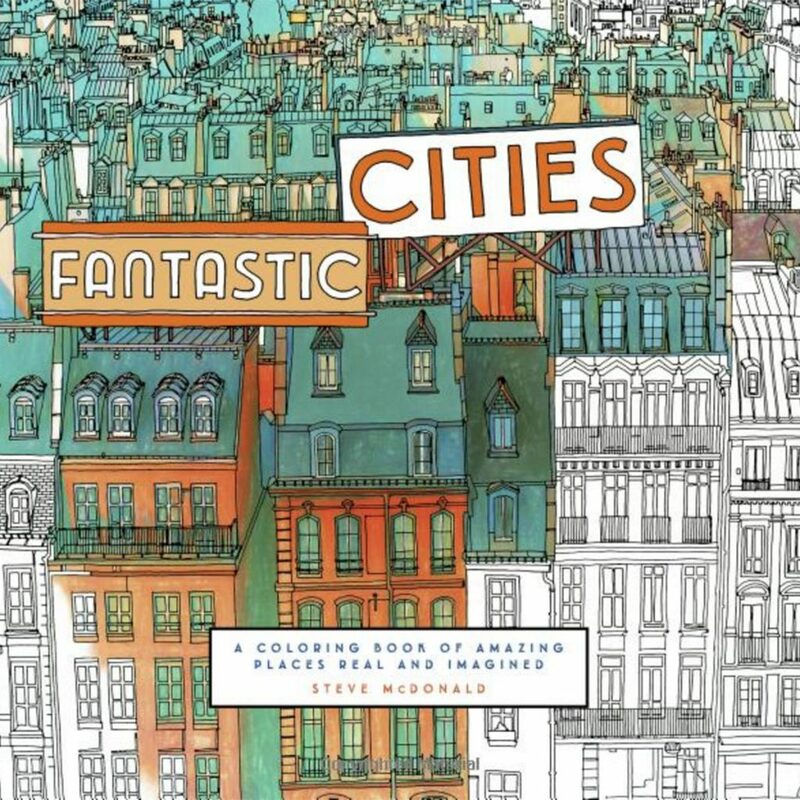 If you’re tired of all the nature-forward coloring books, you’ll love a break in Fantastic Cities. This book includes familiar landmarks as well as imaginary scenes of never-ending buildings. If you’re more of a city person, you’ve found a match in this lively book. 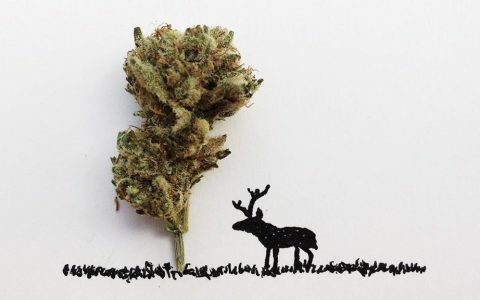 Missed probably one of the best for stoners, well 3, all by the same artist. Kerby Rosanes is a doodle artist from the Philippines. Animorphia, Imagimorphia, and Mythomorphia. My fav is “Calm the F*ck Down, An irreverent adult coloring book” by Sasha O’Hara… I love it!